Call today for free onsite estimates! 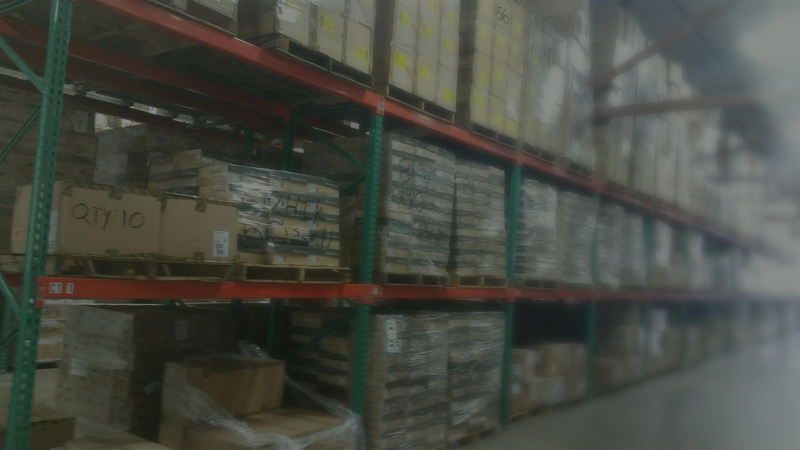 We carry many sizes of Pallet Rack to fit your needs.Interlake style compatible,we have new and used at a discounted price. FREE ON SITE LAYOUT AVAILABLE! 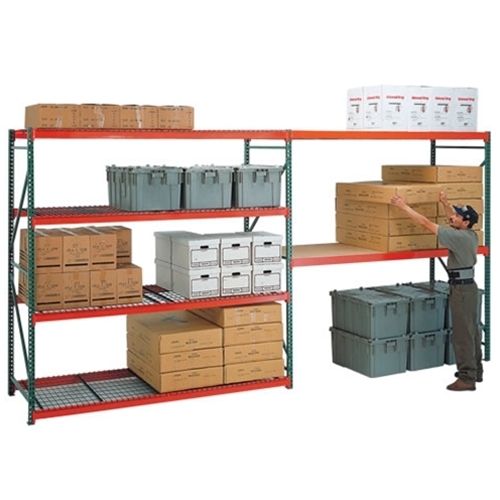 Our heavy duty boltless shelving offers a low cost way to store bulk items with easy assembly. 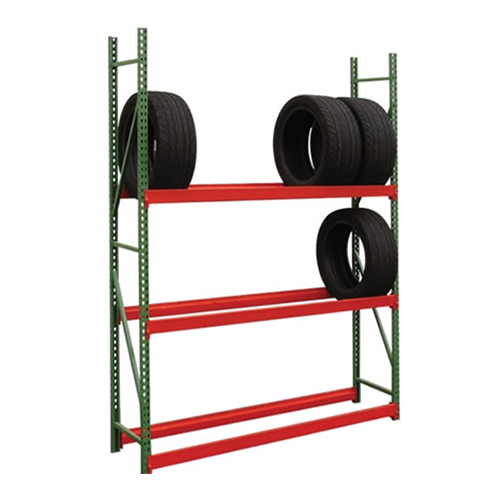 Shelving units are available in a variety of sizes and capacities to meet your specific requirements. 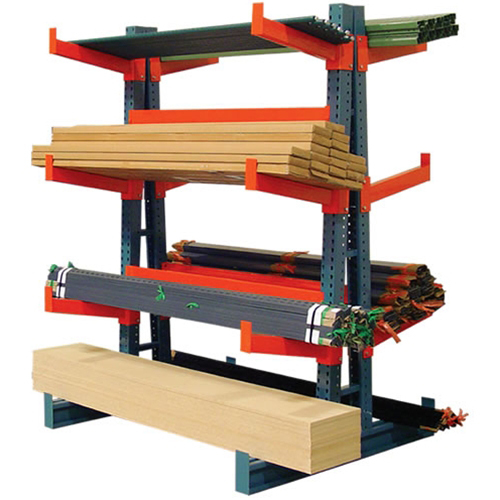 Save time and moneywith our high capacity Bulk Rack. Available in all standard sizes .Available with PB decking,Melamine or wire. 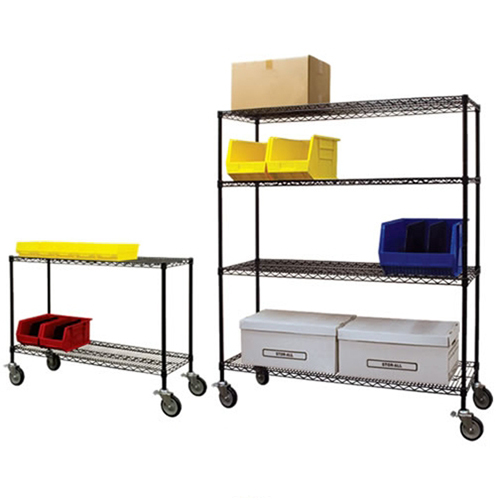 Our chrome wire shelving is certified by the National Sanitation Foundation International. Many sizes available. Great for R & D, Resturaunts and institutions and many other businesses. Available with wheels for easy transport of your products. 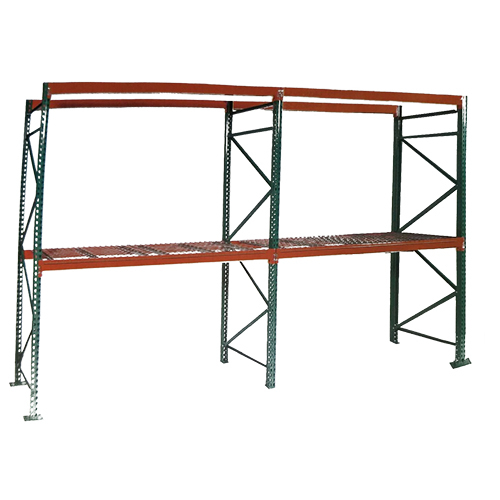 Shelving and Rack Warehouse offers many styles of Workbenches. Boltless Workbenches easy assembly and strong work surfaces. 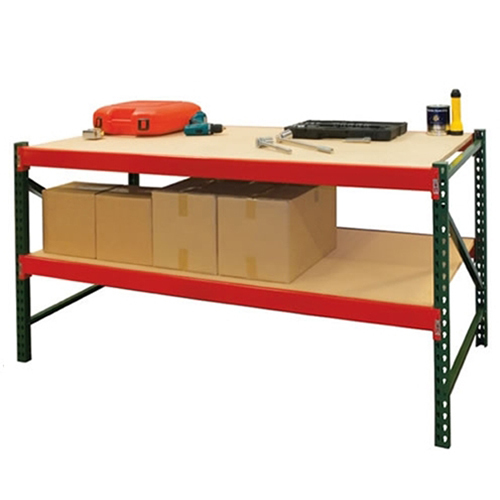 Steel Workbenches are available with drawers and risers. Many different sizes to fit your needs. 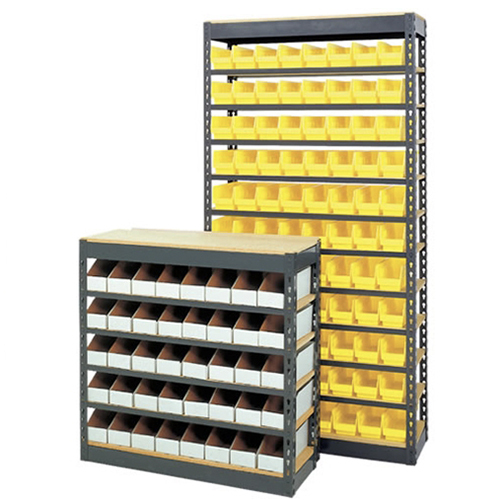 Heavy duty stackable bins are ideal for assembly, production and repair areas. Available in over 10 sizes. Colors available in stock include Blue Yellow and Red. Our highly functional carts are manufactured in a variety of styles and materials. 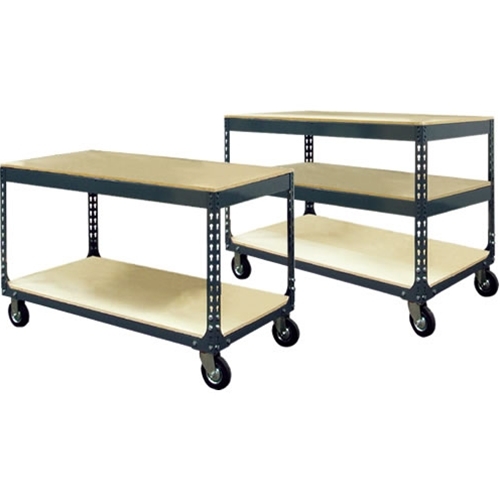 Mobile Shelf Carts,Steel Platform Trucks or Plastic Service Carts are in stock and ready! 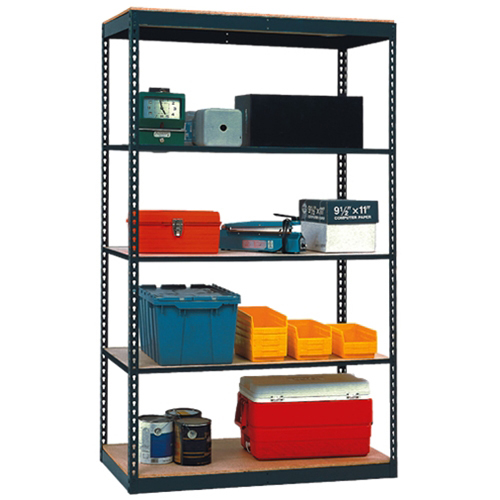 Ideal for storing tubes, bar stock and other long heavy materials that need easy access. 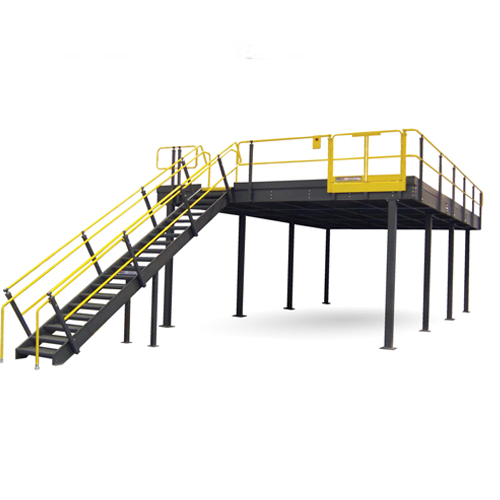 We carry single and double sided base configurations. The Modular Walls we install are high quality. Available in economical 2” walls or 4” walls to keep out sound. Great for lunchroom or a dust free in plant office . Manufactured to your specific requirements every project is custom. Fastrak design makes these extra heavy duty for todays larger tires. Racks accommodate 16”and larger rims and tires. Sizes available are 48”72 and 96”wide and 96” or 120” high. All units are 18” deep. 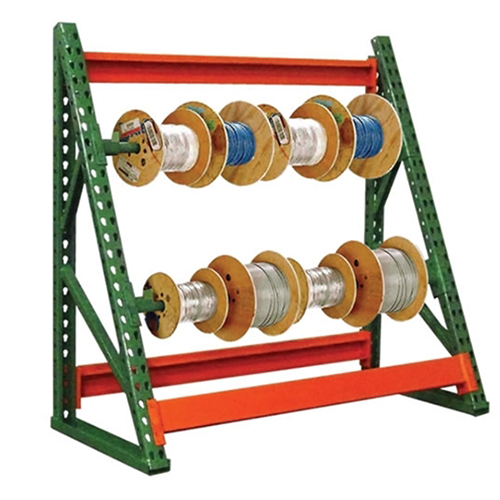 These racks are manufactured to be strong and durable. They hold a variety of sizes and the 1” diameter rods hold up to 350lbs or 6,000lbs capacity for each section. Call for discounted pricing! 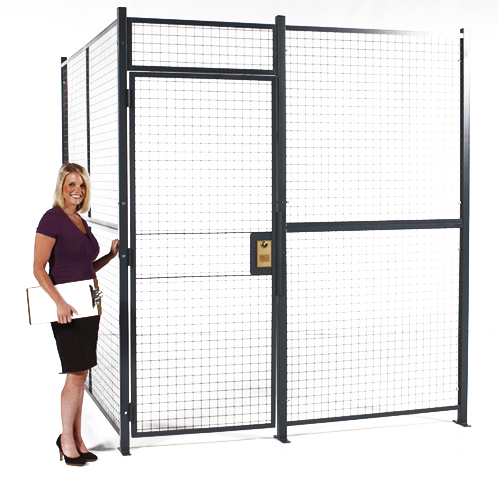 Our Security cages are manufactured by the best in the business. 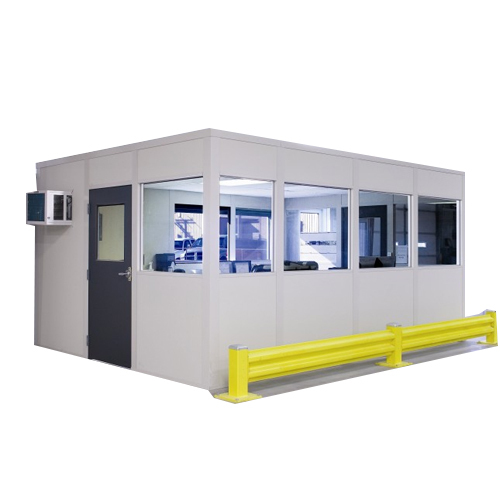 The wire partitions include many benefits for tool cribs or to secure other valuable items. Each system is built to the customers dimensions and are modular so you can re configure in the future. Available with locking slide or swing gates for your convenience.